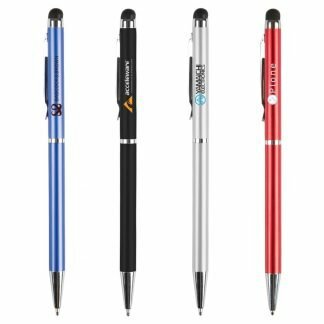 The Palmyra – nice promotional pen. 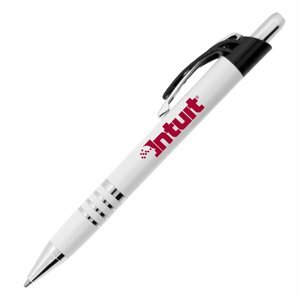 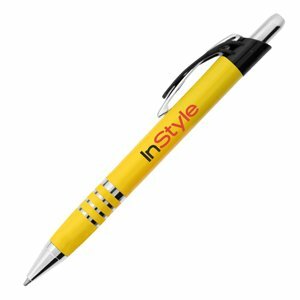 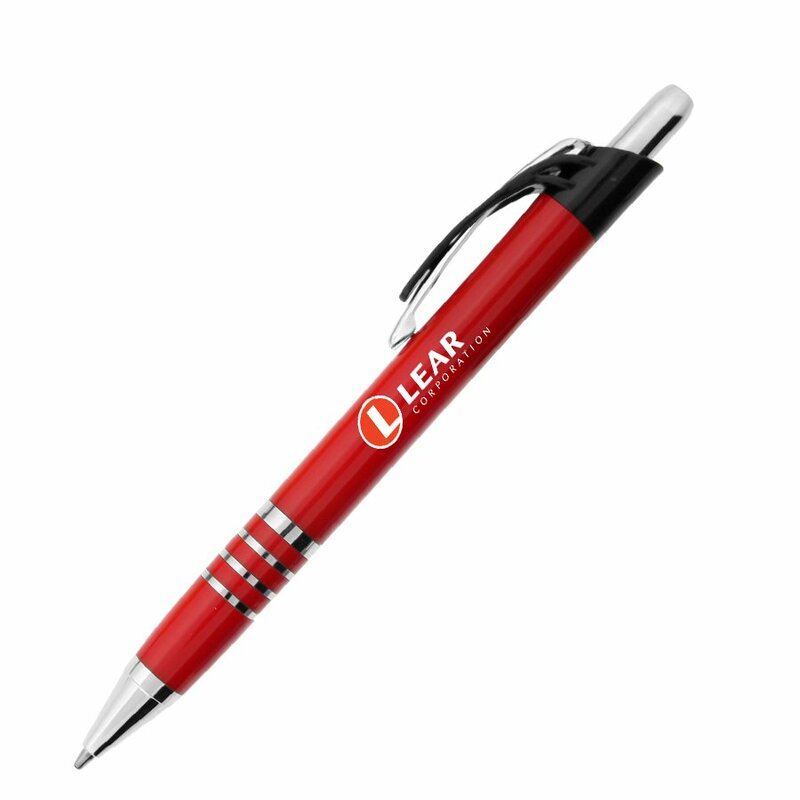 A plastic click action ballpoint pen made with shiny metal accents, a pocket clip and black ink. 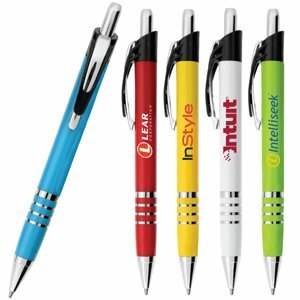 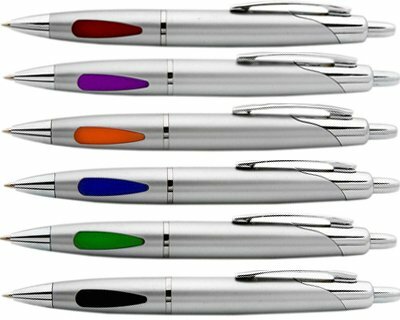 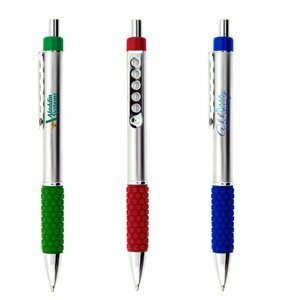 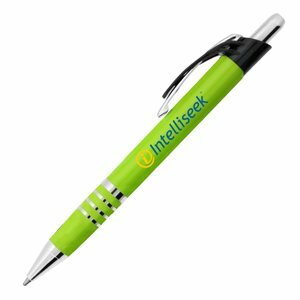 Pens available in Blue, Green, Red, Yellow or White colours. 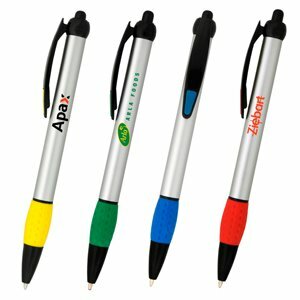 Pad imprint / Digital Print 50mm w x9.5mm h.